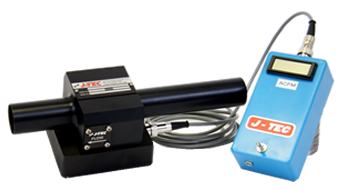 If the health of your on-site engine is important to you, the J-TEC VH563 Series Hand-Held Blow-By Flow Meter System is the answer for on-the-spot testing of piston ring blow-by and an early alert of engine wear problems. The VH563 Hand-Held Blow-By Flow Meter is designed for easy use in the field for engine testing. This system comes complete with a VF563 Series In- Line Flow Meter and a read-out unit with rechargeable battery.The read-out unit supplies power for the flow meter, as well as providing a visual read-out of the flow measured.